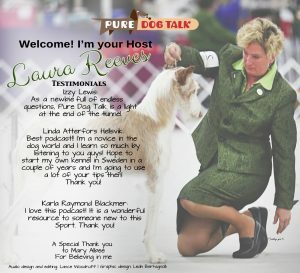 Pure Dog Talk Audio Book & Ebook! The first in a new series that organizes our most popular podcast episodes in one quick, convenient package, with bonus material and special guest appearances!! Perfect for gifts, road trips, puppy packets and more. It’s HERE! 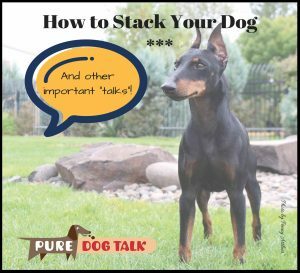 “How to Stack your Dog …. 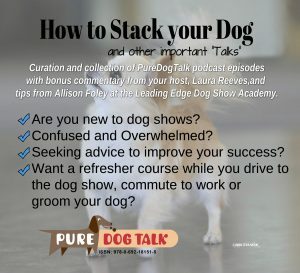 and other important talks.” Named for the enduring popularity of that early episode, this book covers everything from selecting your purebred dog, through training, problem solving and counting the pup’s first championship points. Downloadable ebook due in 2019! 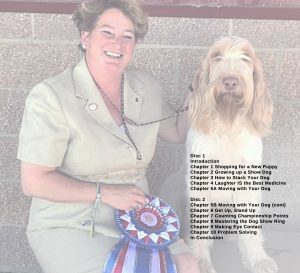 This book is designed for folks new to purebred dogs and dog shows. People who are seeking help, mentorship and advice with their new dog. THE AUDIO BOOK IS HERE!!! !